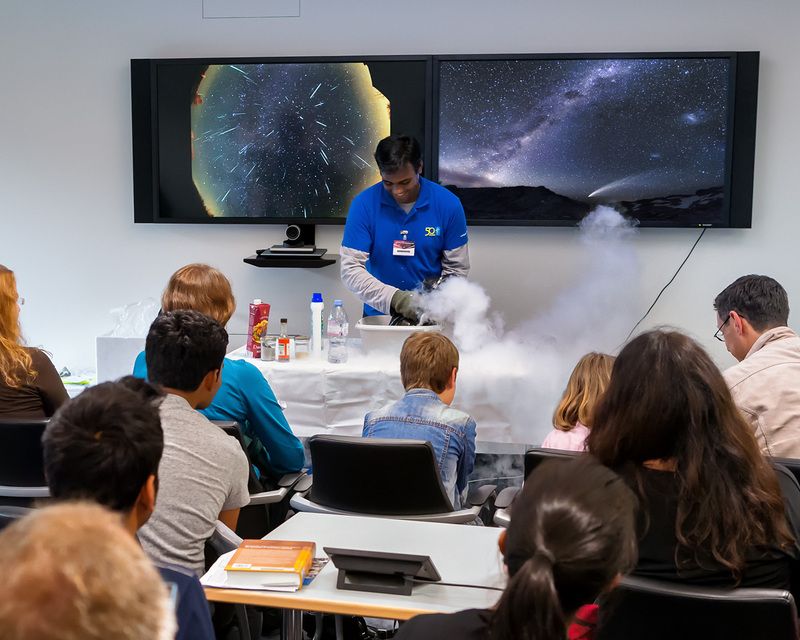 On 27 June 2015, the ESO Headquarters in Garching, Germany, opened its doors to the public as part of the Long Night of Science (Lange Nacht der Wissenschaften), along with the other facilities based at the science campus in Garching. 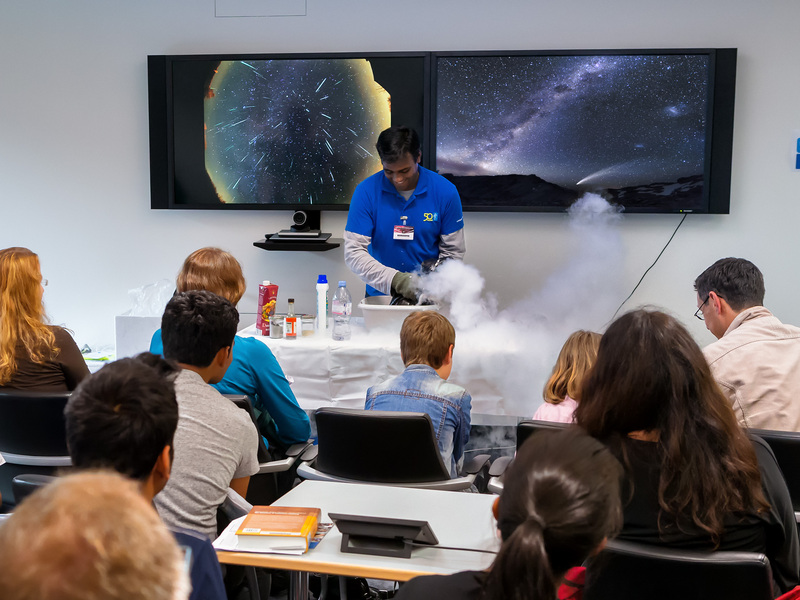 ESO invited visitors to experience the work of this world-leading ground-based astronomy organisation at first hand with eighteen different activities to take part in. 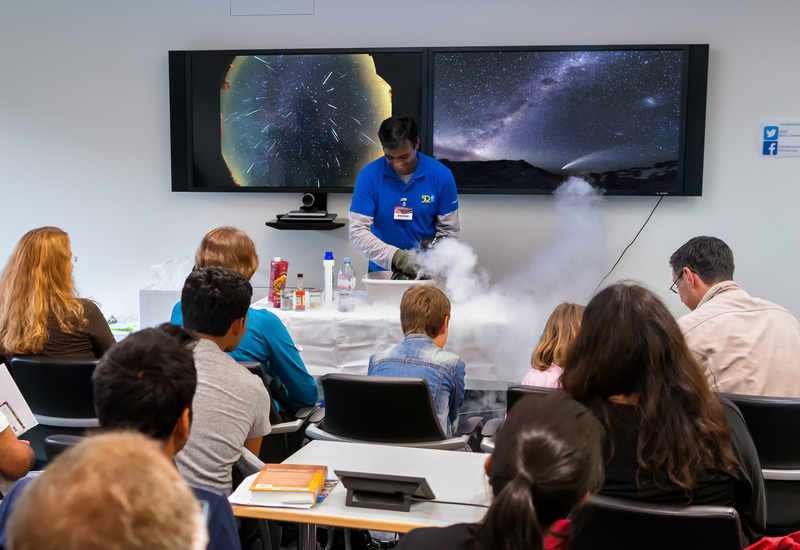 In the picture ESO astronomer Vinod Arumugam is making a comet out of dry ice. Before the doors had even opened at six in the evening people were waiting outside, eager to look around the Headquarters and take part in the activities within. In total, 3800 people attended the events and had the chance to have their questions answered by experienced astronomers; see live experiments; join guided tours through the new office and technical buildings; listen to talks about ongoing astronomical research; visit the exhibition LIGHT: Beyond the Bulb; and even participate in live interviews with astronomers in the Chilean Atacama Desert. 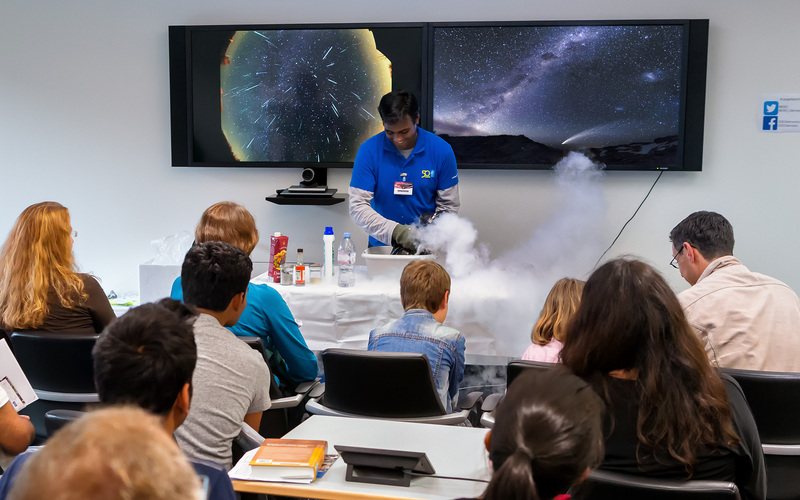 Included in the activities for this year’s event were presentations of ESO’s future projects, like the European Extremely Large Telescope, whose construction just started in Chile, and the new ESO Supernova Planetarium & Visitor Centre, which is currently under construction at the headquarters site. When it opens in 2017 the ESO Supernova will allow visitors to experience the world of ESO and its work not just once a year, but all year round. To view photos from the event, visit our Facebook album. If you participated in the Open House Day 2015 and took pictures, we invite you to share them on the Your ESO Pictures Flickr group.